You were hurt at work. It forced you to take time off. You’re worried because you’ve got medical expenses to pay, and you need income simply to survive. Workers’ compensation benefits can provide medical care and compensation for lost wages, allowing you to maintain the life you’ve built while you recover from your injuries. If you’ve never dealt with the complicated Minnesota workers’ comp system, however, it can be overwhelming. You have questions. The attorneys at the Schneider Law Firm can help. We’re one of few law firms helping people with workers’ comp in the Northwest Minnesota area. And as a resource for you, we’ve gathered answers to common workers’ comp questions below. If you need to talk about what you should be getting after your workplace injury, let us know. For us, it’s about results for you. What should I do when I get injured on the job in Minnesota? If you are injured at work, the first thing you should do is seek medical care. Then you should immediately tell your supervisor. Your employer will need to complete a “First Report of Injury” form, so be prepared to provide detailed information about how your injury happened. Is my employer required to have workers’ compensation insurance? Yes, in the state of Minnesota, all employers are required to provide workers’ comp insurance for their employees, whether it’s through a policy with a licensed insurance company or through self-insurance approved by the Minnesota Commerce Department. What types of injuries are covered by workers’ compensation insurance? A work-related injury or illness is a condition caused or worsened by employment activities. This can include injuries from sudden traumas like falls, such as a brain or spinal cord injury, or gradual injuries from repetitive stress, such as carpal tunnel syndrome. Workers’ comp also covers occupational diseases stemming from exposure to hazardous conditions at work, such as lead poisoning or radiation illness. What medical treatment is covered by workers’ compensation benefits? Per Minnesota state law, employees who are hurt on the job are entitled to reasonable and necessary medical treatment and supplies to heal and alleviate the effects of the work injury. The workers’ comp insurer is required to provide necessary medical treatment, which can include hospital treatment, chiropractic care and psychological counseling. Do I need a lawyer to apply for workers’ compensation benefits? While working with a lawyer isn’t mandatory, the workers’ compensation process can be daunting to navigate on your own. The attorneys at the Schneider Law Firm know the system and can help ensure your case gets a thorough and fair review, so you get the benefits you deserve. Contact us today to begin your free case evaluation. Are construction accidents covered by workers’ compensation insurance in Minnesota? Construction is hazardous work. And accidents on construction sites can qualify for workers’ comp benefits. Every case is different. 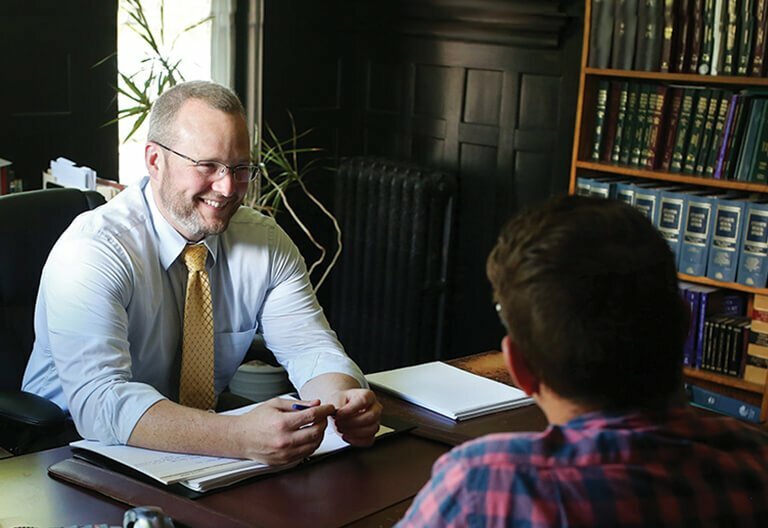 The attorneys at the Schneider Law Firm can look at your situation and see which Minnesota workers’ compensation benefits you could receive, including medical bills and lost income, while you focus on healing and getting your life back to normal. Can I get workers’ comp for machinery accidents? Injuries resulting from using machinery— as opposed to those caused by falls or strains from lifting—are among the injuries covered by workers’ comp. In fact, if a defect in equipment led to your injury, you also may have a personal injury claim against the machine’s manufacturer. To ensure you get all the compensation you’re owed, Contact the Schneider Law Firm Now. Should I accept restricted work when applying for workers’ comp benefits in Minnesota? Restricted work means returning to work after an injury, but in a less strenuous role while you’re still recovering. In certain cases, turning down a chance to return to restricted work can cause you to lose workers’ comp lost wages benefits. Your doctor, along with the lawyers at the Schneider Law Firm, can help you make the right decision for your health and financial situation. Intended for informational purposes only. This piece is not intended as legal advice and should not be construed as such. Please contact an attorney for questions regarding Minnesota workers’ compensation laws.